In this second Apache Drill blog post, we will learn how integrate Hive and HBase with Apache Drill. Apache Drill provides inbuilt storage plugins for Hive and HBase integration. We just need to edit the configurations of these storage plugins and connect Drill. Check out the first Apache Drill blog in the series here. First, let us see how to connect Apache Drill with Hive storage plugin. In the snapshot below, you can see that I have a table customer which has some data. Now we will connect Hive with Drill and access the same table from Drill. You will see Hive in the disabled storage plugins. Click on Update for Hive. After editing, click on Enable. You will now find Hive now in the Enabled Storage Plugin. Run the command below command in the Drill shell to access Hive from Drill. You can now access the customer table from Drill. You have successfully integrated Hive with Drill. 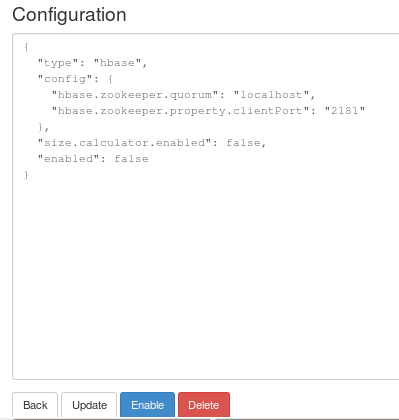 Next, to enable the HBase storage plugin, we will follow the same steps as Hive. Click on update for HBase and edit the configurations accordingly. Now, I have the “students” table in my HBase which has some data. Let us see if we can access it now through Drill. 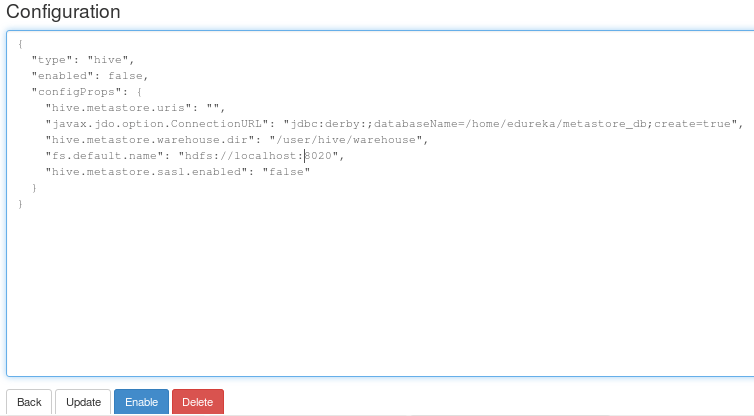 Run the command below in Drill to use the HBase storage plugin. Run a query to the HBase student table. The above query returns results that are not useable. In the next step, we have to convert the data from byte arrays to UTF8 types that are meaningful. You can now successfully access HBase through Apache Drill.